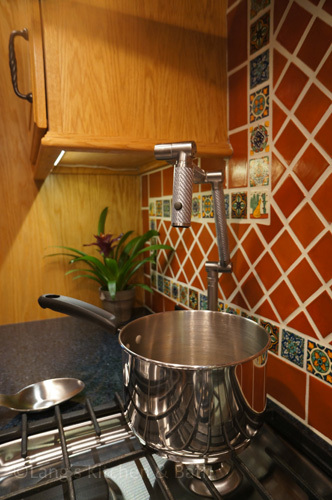 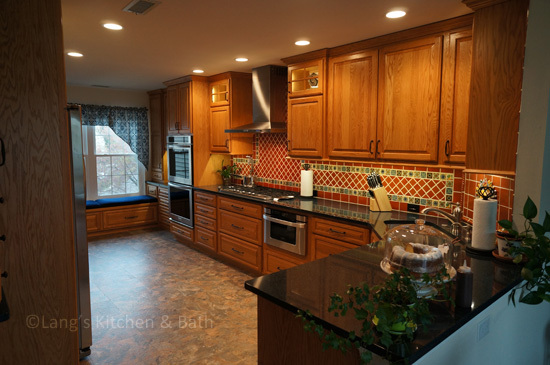 This kitchen renovation brings a taste of the southwest to the Jamison, PA home. 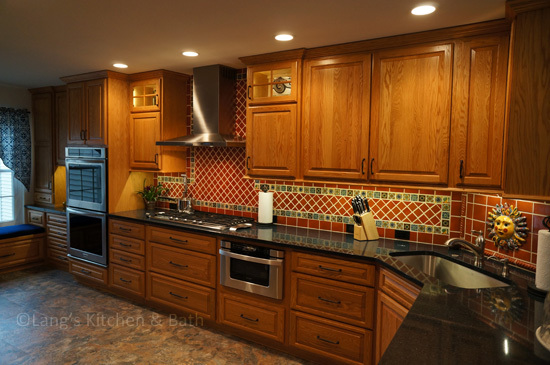 The distinctive design and color scheme is brought to life by the beautiful handmade terracotta tiles, which is complemented by the warm wood tones of the kitchen cabinets. 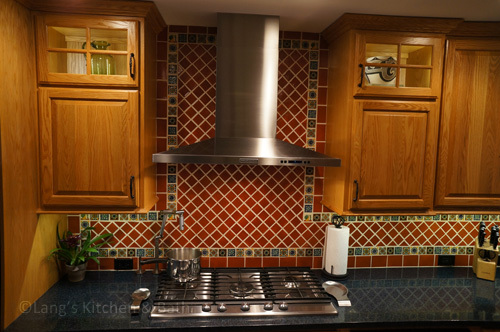 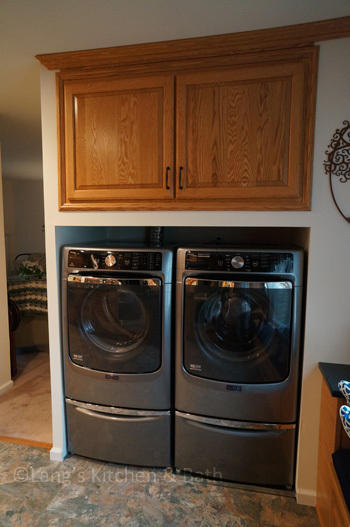 Extra features like a dish drawer cabinet, countertop pot filler, built in laundry center, and chimney hood add to both the style and practical elements of the kitchen.